Want to make a unique playdough recipe? Try using some coffee grounds! It gives the playdough that familiar and liked scent of coffee, who can resist that? If you can, make sure to try our Peanut butter playdough recipe instead, it’s really quite tasty! Enjoy your coffee smelling playdough. 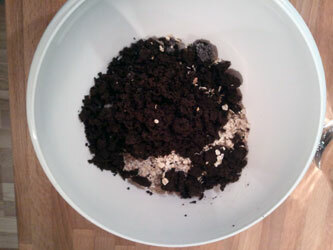 The original recipe for this playdough only included coffee grounds, cornmeal, salt and water. It was just hopeless, you could knead it together but it quickly fell apart. Therefore I felt I had to improve the recipe, which I’ve done. Bu then I made another discovery, for some reason I used oatmeal, not cornmeal, quite a difference! Thinking about it I think it’s better to exclude the cornmeal and just go for standard flour. I began with collecting the original ingredients, since that was the playdough recipe I was trying. 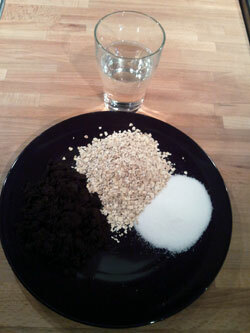 Here we have coffee grounds, salt, water and the wrong ingredient oatmeal. Added to this was the flour and alum. Mixing what I thought was the correct original ingredients made it look like this. Way too lose, but that might have to do with my wrong choice between oatmeal and cornmeal. I recommend just going with flour though. Here I’ve added flour, alum and the boiling water. Start stiring and you will shortly have homemade playdough. 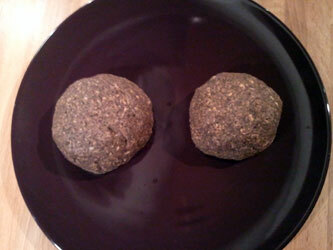 The finished playdough (using oatmeal) will look like this. 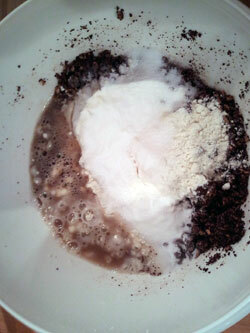 Too sum it up, use coffee grounds, flour, alum, salt and boiling water. I suspect that it will be the perfect coffee playdough! This is a good recipe except I found that only 1 cup of boiling of water makes the play dough a little dry. I boiled and added another half a cup of water, but then it was too WET. So I mixed in some extra flour until I was able to get it back to the consistency I needed. Just thought I would share my experience. Other than that, it turned out great. Thanks! This looks like a great dough, but Which dough is the best for making ornaments or other crafts? Where can one get alum? today was a playdough day for us too, but yours looks a lot ymiumer than the kind we used! Will have to give this (or your Kool-Aid) version next time!! You can get alum at the store in the same aisle as the spices.